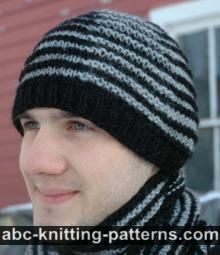 The hat is worked in-the-round, seamless, in a two-color Diamond pattern. Finished Size: head circumference 21" (54 cm). The depth of the hat is 7”, if you want a deeper hat, repeat the diamond pattern rounds 1-2 more times. Needles: US#4 (3.5 mm) and US#5 (3.75 mm) circular needles OR SIZE NEEDED TO OBTAIN GAUGE. US #5 (3.75 mm) dpn are recommended. m1 – make one increase - I used the increase described by Elizabeth Zimmerman: make a backward loop over the right-hand needle and in the next row/round purl/knit it as a regular stitch. All rounds: *p1, k1 rep from * across the round. Round 1 with color A: knit. Round 2 with color B: k1, *sl 1 wyib (with yarn in the back), k 1 - repeat from * across the round. Round 3 with color A: knit. Round 4 with color B: k1, *k 1, sl 1 wyib - repeat from * across the round. The hat is worked in the round from the bottom up, seamlessly. 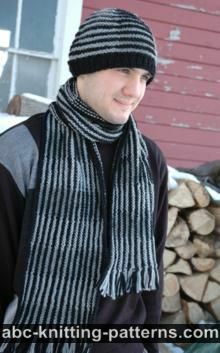 The brim is worked in color B on US # 4 circular needles in a 1x1 Rib pattern. 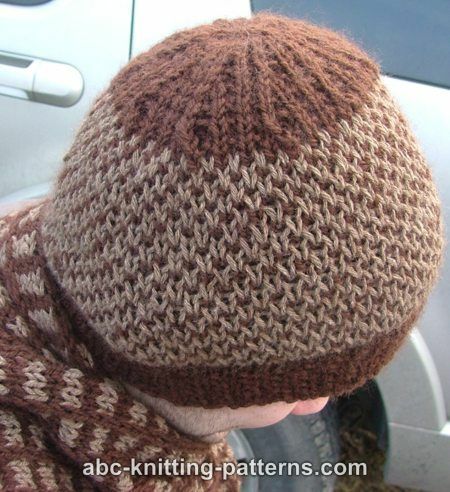 The main part of the hat is worked in 2 colors on US #5 circular needles in the Diamond pattern. The crown is worked in color B, on US # 5 circular needles using the magic loop technique, or double pointed needles (dpn). 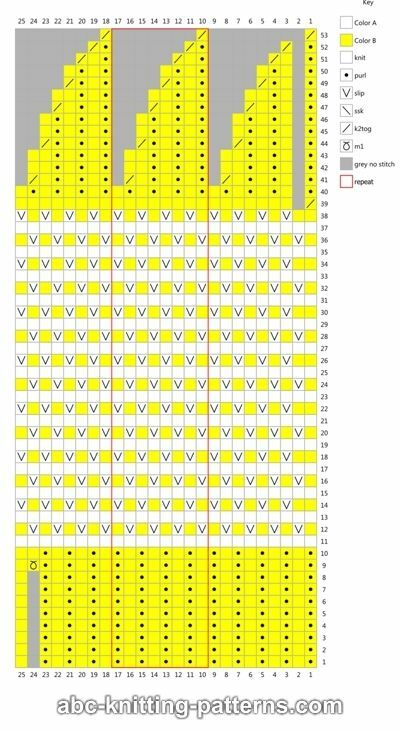 With color B, cast on 80 sts on US #4 needles, join and continue to work in rounds, take care not to twist the sts. Place a marker at the beginning of the round, slip the marker while working. Repeat round 1 eight times. Round 10: *P1, k1 repeat from * 39 times, p1, k2. 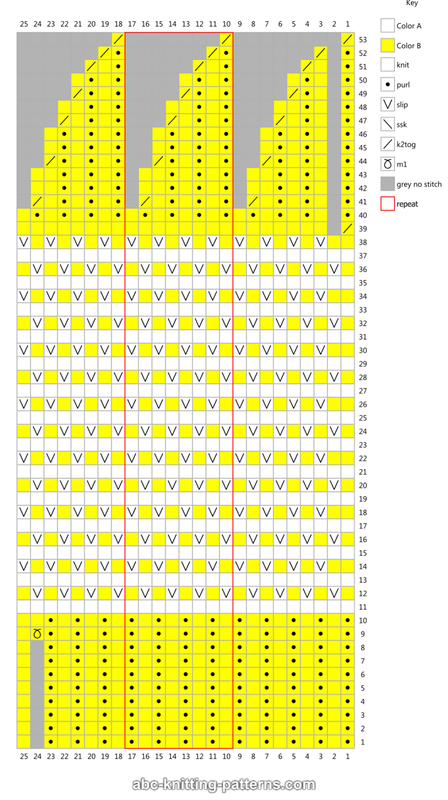 Change to US #5 needles (3.75 mm) and work Diamond pattern for 38 rounds. Round 11 with color A : Knit. Round 12 (with color B): *K1, sl 1 – repeat from * 40 times, k1. Round 13 (with color A): Knit. Round 14 (with color B): K2, *sl 1, k1 – repeat from * 39 times, sl 1. Repeat rounds 11-14 seven or eight times. Cut color A yarn. Continue with color B. Round 40: *P1, k1 – repeat from * 40 times. Rounds 42 - 43: *(P1, k1) twice 2, p1, k2 repeat from* 10 times. Rounds 45 - 46: *P1, k1- repeat from * 30 times. Round 48: *P1, k1, p1, k2, repeat from * 10 times. Round 50: *P1, k1, repeat from * 20 times. There are 10 total comments on this article. Round 2 in Diamond Pattern does not end with k1 - is this an error? 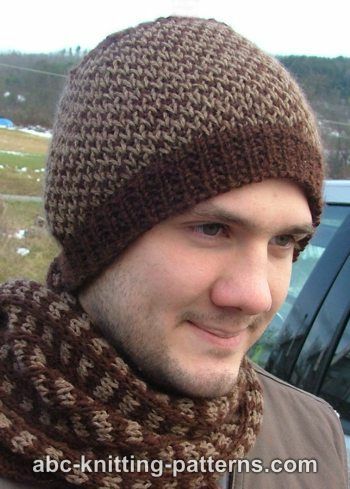 This hat should be knitted in rounds. Thanks for your help Elaine Phillips but my problem was in gauge. I was thinking that those lines of yarn must not be there. Now that I know that there is no problem to have extra yarn behind your gauge I've started knitting this hat. And it's great! Very nice patern. 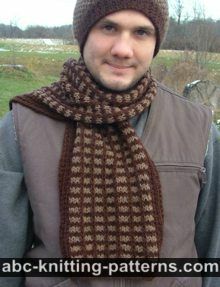 I found some worsted weight wool yarn I would like to make this hat with but it's only 109 yards. I noticed for color B the yarn used was 110 yards and one skein. Was there any yarn left over from the 110 yards so I could possibly get away with 109 yds? Love this pattern! A tad confused... You say work diamond pattern for 38 rounds, then it goes on to round 39. Do you work diamond pattern rounds 11-38 or 11-48? Hope this makes sense as it's late! Well, I was just confused the other day. Now, I can make this hat and I'm on it right now. every time I move the hat from left to right needle? Because my yarn, of the color I want to use, is in the other side. 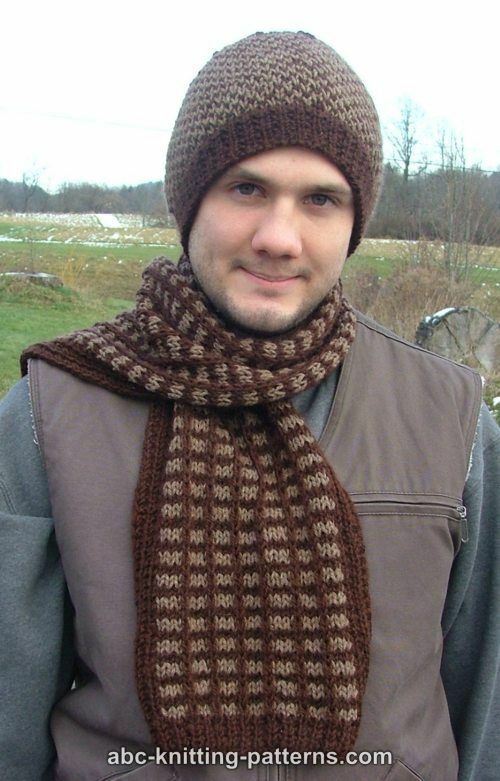 hi, I want knit this diamond hat for my husband. but I already buy a circular needle and don't know how use it.